A carrot is basically a root vegetable with red-orange color. It is known to have many essential nutrients and vitamins that are important for the overall growth of the body. Carrot is very tasty and visually appealing. It contains beta-carotene which is a red pigment. 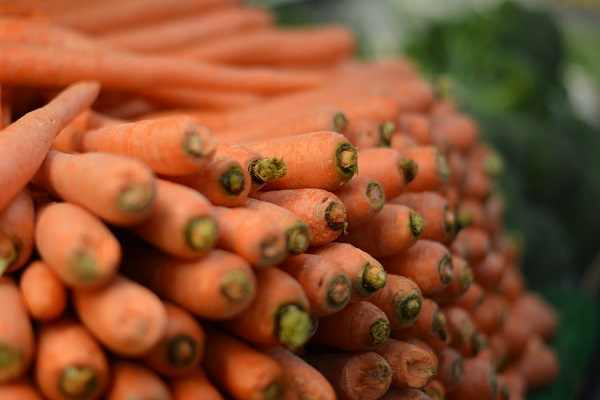 This red pigment provides red color to the carrot and is converted into vitamin A by our body. Vitamin A boosts up night vision. The red pigment also enhances the glow of our skin. Carrot possesses dietary fibers which improve digestive health and prevents many heart-related diseases like cancer, diabetes, weight gain etc. Carrot contains many minerals like calcium, iron, potassium, copper, zinc and phosphorus that facilitate metabolic processes of the body. Minerals play a vital role in the development and growth of strong bones, teeth, hair, etc. Carrot is known to improve memory. In short, one must include carrot in his balanced diet.